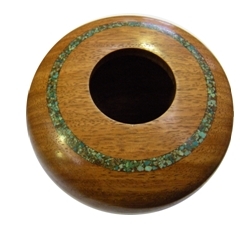 As a second course we offer a 2 1/2 to 3 hour course in turning a bowl. Participants should have completed the first course on pen turning where there is a basic introduction to the tools and safety aspects of turning. Coming out of the course students will have a completed bowl to take away which they have designed, shaped and turned. All materials are supplied for this course.